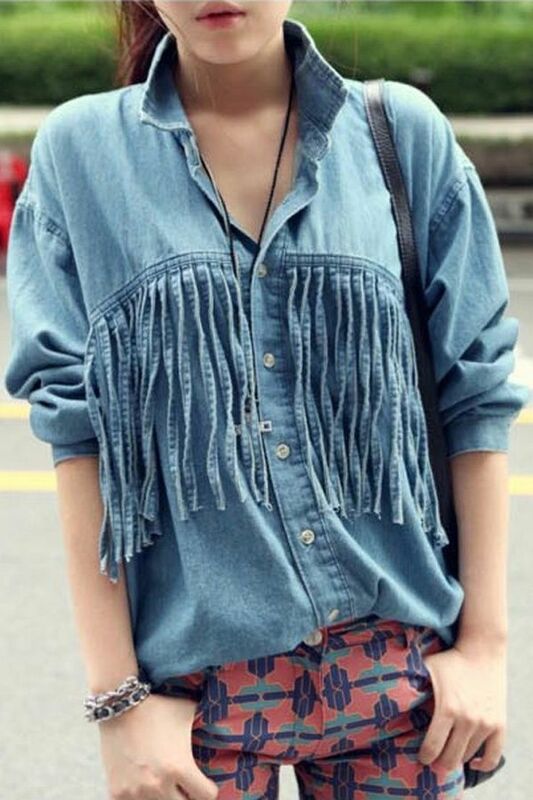 A denim shirt is an obligatory piece of clothing for those ladies who like wearing casual garments. In today’s post, I want to draw your attention to fun and trendy ways on how to wear denim shirts. Personally, I love this top for its versatility and longevity. Yes, this shirt has no expiry date, as the fabrics are heavy and long-lasting. Another great thing about this garment is the numerous ways on how to wear it in real life. You can create so many interesting looks, starting from simple casual styles to punk and rock-inspired outfits. If you are ready to wear it in everyday life, then I’ve got plenty of street style looks to share with you. Read on to find out more.